January is a great time to find sweaters on sale and I usually look for ones that I can wear on into spring. That means I am looking for bright colors and lightweight. I found a few I love and I wanted to share them with you! I have had my eye on this sweater for quite awhile! 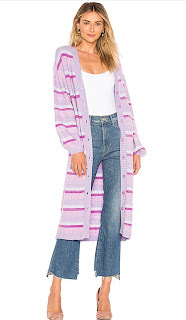 It has bright spring colors, puff sleeves and stripes making it a cute sweater! The two reviews on it gave it 5 stars, always a good thing. It is now half price and you can find it here. 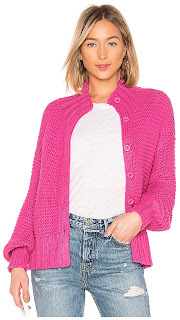 I just love the pink color of this sweater! Pink is my favorite color, so it is no surprise that I would love this one. It looks cozy, has puff sleeves and is perfect for cooler spring days. It is on sale too and you can find it here. 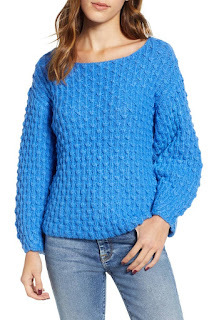 This sweater is on sale on the Nordstrom website and this bright blue color would also be perfect for spring days when the temperature is still cool. As always, Nordstrom's has free shipping and free returns, so that is always a good thing! You can find this sweater here. 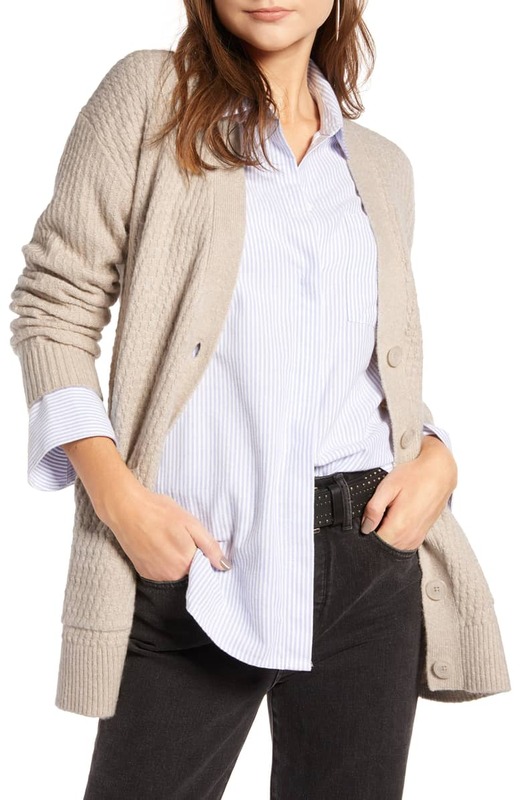 This sweater is not on sale, but I have had my eye on this one for quite awhile. I ordered it this week, so I'll keep you posted on how I like it. I think that the neutral color makes it a very versatile sweater. You can find it here on the Nordstrom website. 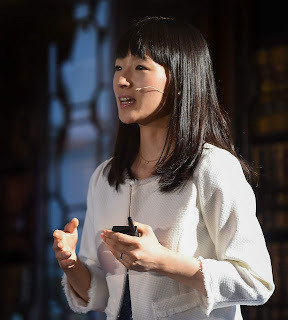 Last week I did a post on closet organization, and I mentioned that Netflix has a new show with Marie Kondo helping people tidy their house. I have watched all of them and they are really good! If you are in the mood to do some organization in your house, I would highly recommend that you watch them. She features families that are in different circumstances and it was just so informative!